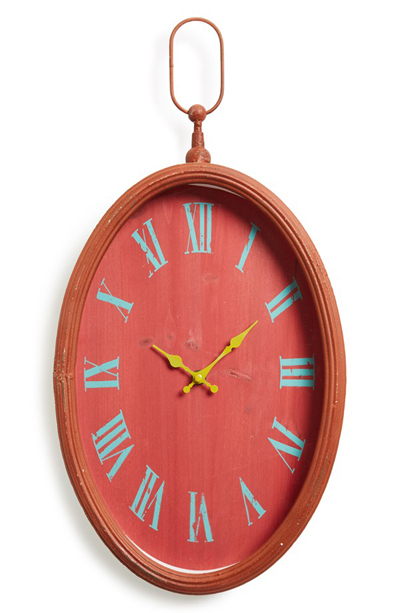 Add a bold pop of color to your wall with this oval Sybil Wall Clock designed with bright, contrasting hands and Roman numerals that make the piece stylish and easy to read. $70. Free shipping. Buy here. 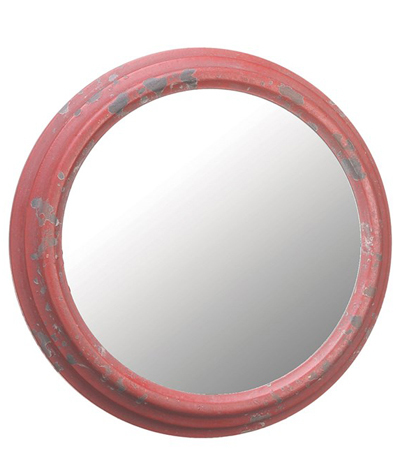 Add a touch of rustic flair to your home décor with this striking Distressed Framed Mirror in an artfully distressed finish. 10 1/2″ diameter. $18. Free shipping. Buy here. 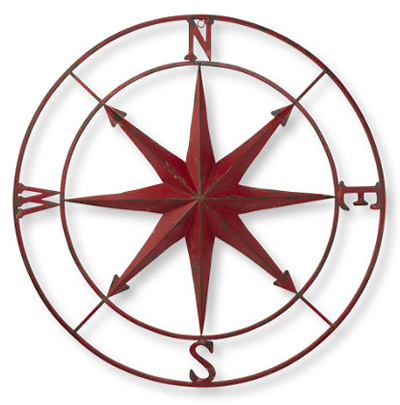 This Red Metal Compass Rose makes a bold statement on a large wall space, enhancing any room. Measuring 41″ in diameter, this antiqued piece will brighten up your home and is sure to spark conversation among guests. Great for use inside or outside in a sheltered location. The distressed finish will take on a more weathered look when used outside. Solid metal. $179. Buy here. 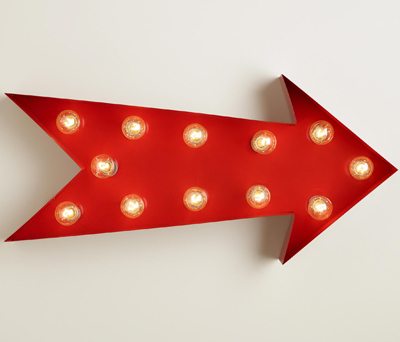 Make a statement with the Red Arrow Marquee Light. 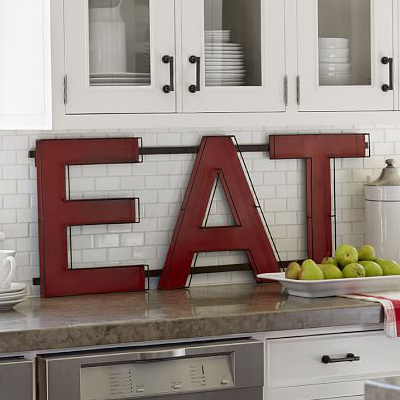 Inspired by vintage marquee signs, it’s great for brightening parties and special occasions. Showcase this light on a high shelf or mount it to a wall for a unique décor piece. $99.99. Buy here. 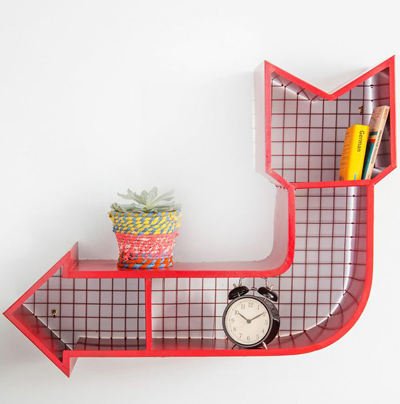 This bright red Point of You Shelf features three distinct cubbies with a mesh backing, as well as space on top to display knickknacks and art. $149.99. Free shipping. Buy here. 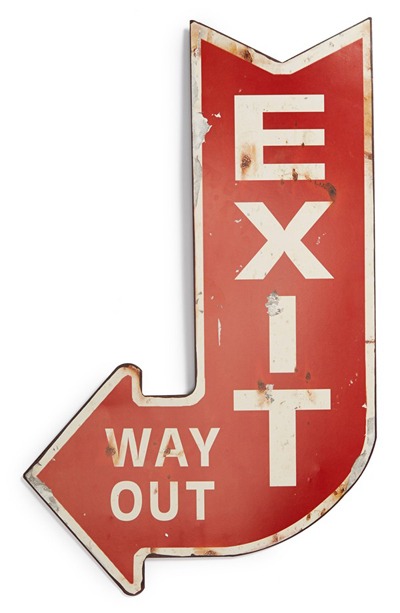 This artfully weathered metal Exit Wall Sign adds a touch of vintage-inspired urban style to your décor. $24. Free shipping. Buy here. 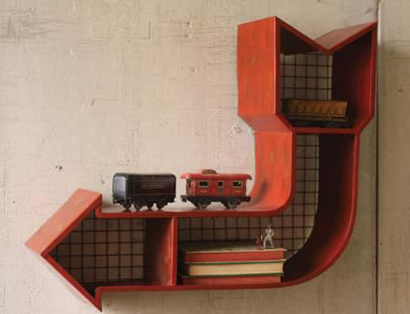 Store your stuff in this super cool retro Red Arrow Cubby with an antique red finish! It’s made of sturdy metal and has a convenient mesh backing. $149. Buy here.